Spread some Dangerous Island Love with a little something for bumper, paintwork or glass. Made in bright red sticky gloss vinyl, supplied on application paper to be stuck in seconds. 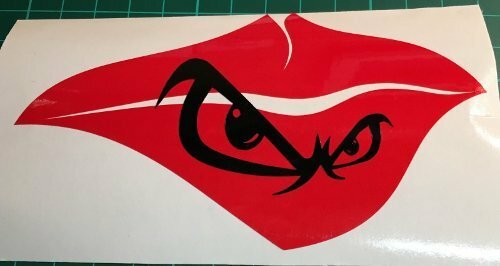 The Dangerous Love Lipsticker decal is a Sollars62/StickyVinyls hybrid.